So Your Kid Wants to Play Ice Hockey - Where Do You Start? Make sure they like to skate, because as a hockey player they will be doing lots of skating. 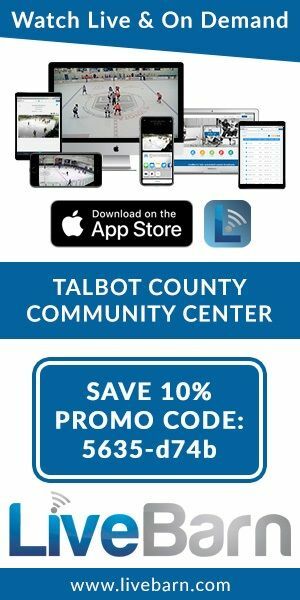 The Talbot County Community Center (TCCC) Ice Rink offers public sessions throughout the year. 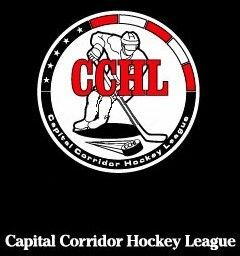 Bring your child and some of their friends to a couple of public sessions to see if they like skating, they might actually bump into some of our hockey players. 1. We offer our very own Learn To Play (LTP) program. 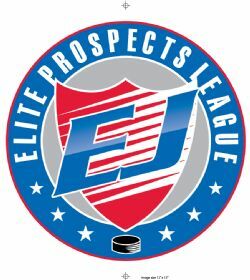 This is an option/program designed primarily for players who want to start playing hockey. This program emphasizes hockey skating skills and stick handling with an introduction to the game of hockey. The LTP program is for children ages 4-9 years old that are able to skate. If your child cannot skate, it is HIGHLY recommended that they take a Learn to Skate session. ESHA hopes to run three 6 week sessions throughout the 2018-19 hockey season; keep an eye on our website and Facebook Page. 2. Or, once they have learned how to skate, it is time to join our Easton Ice Hawks. Go to our website and register or contact our Registrar directly at . All Kids 8 and under can participate in our program (again, they should be able to skate) and can join at any time. For players aged10-18, we hold tryouts in late April / early May for the upcoming season. 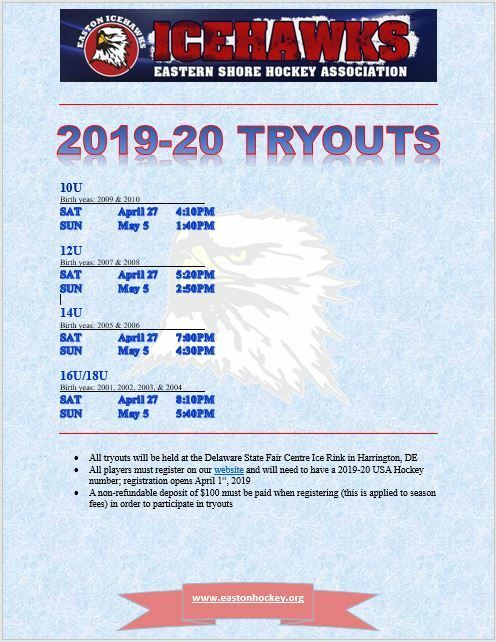 Click HERE to Register for the 2019-20 Ice Hawks Season. Registration is Open for all Travel Team age groups. Click HERE to visit our online store. You can order uniform items as well as SpiritWear.